Summer might be winding down, but our M&G | exposure is just ramping up! 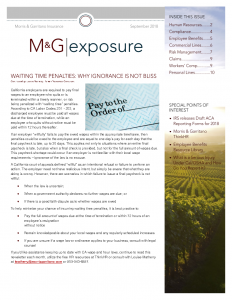 This month’s edition is packed full of information about HR best practices, a cool new M&G website feature, reporting injuries to Cal/OSHA…just to name a few. Check it out!